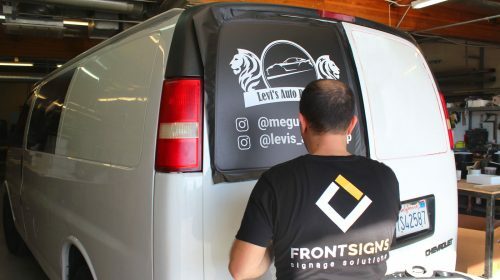 Front Signs is not only a sign making company but a full-service company offering installation and replacement services alongside many others. 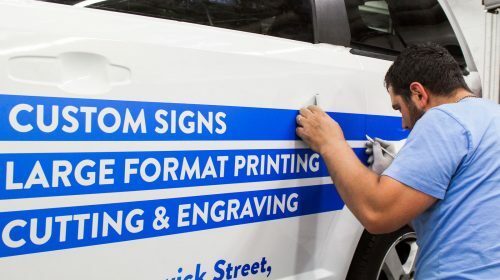 After ordering your signs you do not have to seek for other companies to install your sign, our team of professional craftsmen will do the installation for you. 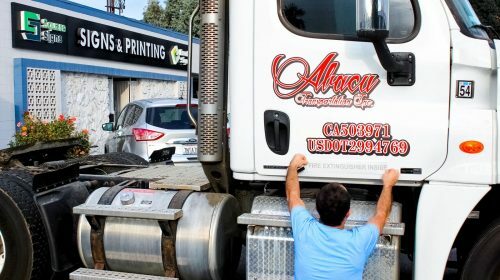 Besides providing our customers with high-quality signs, we make sure that the signs have a smooth and safe installation. 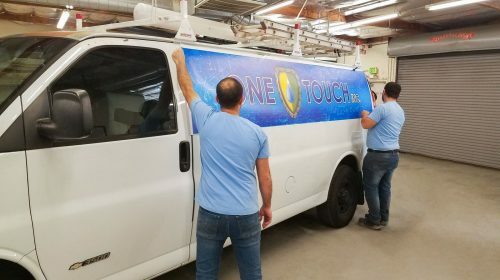 It is important to get help from professionals, as they know all the techniques and specifications of the products which helps them install each sign without any defects. 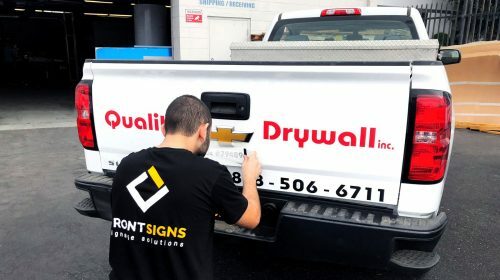 You may need help in the installation of any types of signs, be it a Wall Decal, Hanging Sign, Lightbox Signs, etc. Signs can be installed in a variety of ways and require different installation hardware. They can be directly mounted on the wall, installed on a special construction or fixed on the ground. Below see a more precise explanation of signage installation options. In case of more complex installation, such as fixing the sign on top of the building, we use special equipment. We provide with all the pre-installation procedures, such as drilling holes, fixing hanging hardware, etc. and all the required tools for installation. The types of installation may vary depending on the size and the location of the sign. On raceway – some types of signs such as 3D Letters or Illuminated letters can be neatly installed on a raceway. Wall mounting – many types of signage can be directly mounted to the wall with a highly secure silicone, with screws or with elegant standoffs. 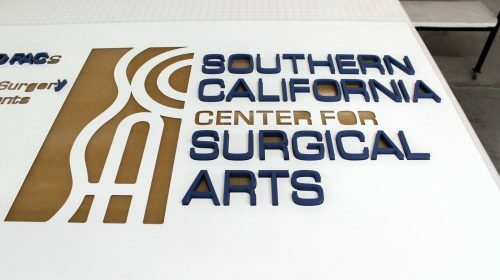 The later are metallic screws and caps that keep the signage detached from the wall and giving it a more professional look. Hanging – with our customer’s choice we can hang the signs with chains anywhere they desire. Special construction or a pole – various types of signs (Street Signs, Lightbox Signs, etc.) can be installed on a pole as well as on a special construction. 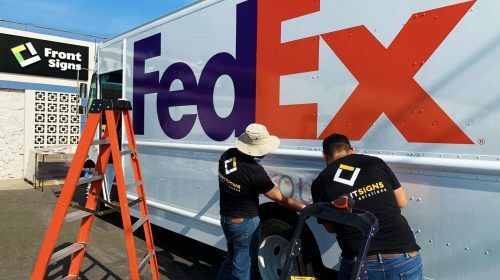 Installation on the ground – Pylon/Monument Signs and other types of signs that require ground installation require special tools, which our craftsmen are ready to provide and install the sign in a quick and smooth manner. Stands – Banner Signs can be installed with the help of various types of stands. 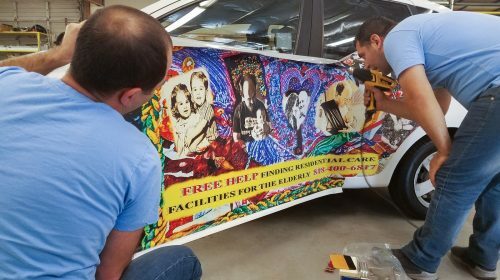 But there are other types of Banner installation as well. For installation with poles, we can make special pole pockets on them. Also, there are many accessories used for Banner installation for which we add grommets on them. 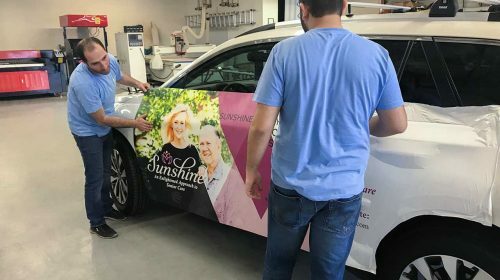 Installation of adhesives – Decals, Stickers and Vinyl Letterings do not require much effort for installation, but our craftsmen are ready to help you with that as well. 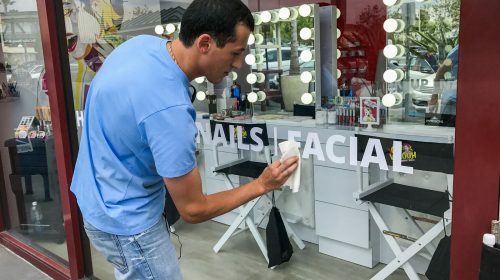 For the installation of these three products we use a special tool called squeegee, and in the case of Letterings, we use a special tape for spacing. 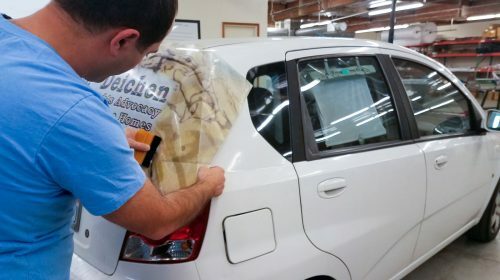 As for Vehicle Wrapping, you can leave your vehicle in our factory and then take it back already neatly wrapped. 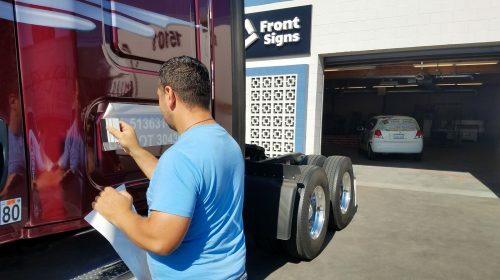 No matter what level of difficulty the installation has, Front Signs is ready to help you with that process. We take all the hassles of installation on us, leaving you to enjoy the ready products neatly installed in their place. Besides installation services, we offer replacement services as well. 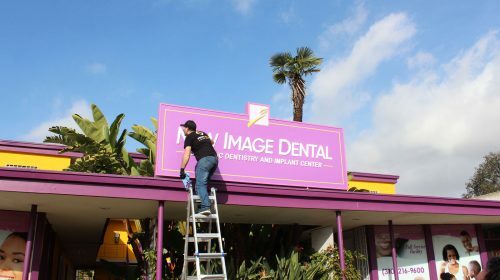 If you want to replace your old sign with a new one, we are ready to do the replacement. Even if the overall sign does not need to be replaced and only one part of it needs a replacement, we are ready to do that as well. 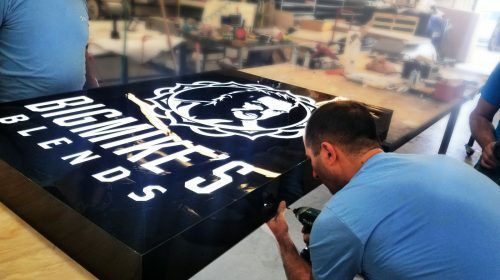 Whenever you need to install or replace your sign, our professional craftsmen are ready to provide you with the best installation and replacement services. 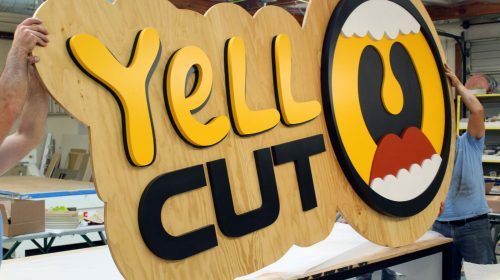 What mechanisms do you use to hang signs? 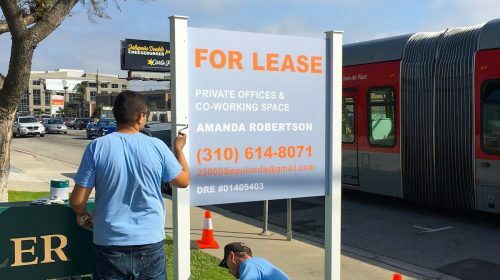 The Custom signs can be hung with hooks or ropes or attached to the frame with zip ties or bungee. You can hang the sign on beautiful metallic supporters or you can hang it straight from the ceiling.